You've probably heard that hip replacement surgery is one of the best decisions many adults with chronic hip pain have ever made. Even as they were experiencing recovery, they noticed a reduction or absence of pain, and that alone made them feel like a new person! However, before you start turning somersaults down the hospital corridor, there are a few things you need to know that will impact your recovery from joint replacement surgery. By taking the time to review post- and pre-op instructions from your surgeon and physical therapist, following doctor’s orders, and not rushing into anything, your recovery will be thorough and successful. In a very low percentage of patients, complications post-surgery may occur. These setbacks are only temporary, and your medical team will know to be vigilant for things like blood clots in the legs or pelvic region and infection. You’ll be given the appropriate medicines to combat the infection or control blood clots. This may interrupt your scheduled rehabilitation, but it’s only temporary. As mentioned before, after surgery you will feel a remarkable absence of the throbbing pain experienced pre-operation, so you may be tempted to overdo your therapy. But no matter how much you feel like a superhero, restrain yourself. Whenever you overdo your exercises you risk injury to your hip, and you know you don’t want that! When you leave the hospital, you’ll likely go to a rehabilitation center. This is where the real healing takes place. Flexibility will be restored, and soon you’ll be able to move about without the aid of a walker. Alhough you’re cautioned not to overdo your physical therapy after joint replacement surgery, don’t baby that new joint either. Find a balance that will help you regain your mobility without stressing or overtaxing your body. Follow the instructions of your therapist regarding what to do and what not to do. 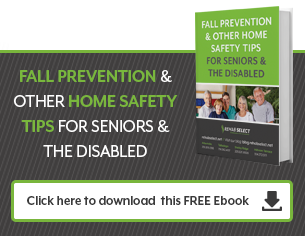 Don’t let your newfound ease of mobility fool you into thinking you won’t need help at home. Make sure your caregiver is aware of your needs and understands what your recovery entails. Perhaps they could attend therapy sessions with you to learn just what to expect when you arrive home. If you live alone, you will need to have help. Take up offers from friends and family who want to help. Let them clean your house, run errands, bring meals, and take you to your follow-up appointments. If necessary, hire a professional caregiver to come to your home for the first few days. The say, "you are what you eat," and that nutrition directly affects the way your body repairs itself after surgery. Now more than ever, it is imperative that you meet all of your nutritional needs. For many individuals, food doesn’t hold much appeal in the days following surgery. Pain meds and anesthesia slow down your digestive process, and your appetite just isn’t there. So if you’ve tried and nothing appeals to you, ask someone on your medical team about nutritional shakes. These shakes help meet your body’s nutritional requirements and set you on the road to recovery. Do try to eat some healthy foods as well, though. You’ll need those valuable calories when you begin your joint replacement therapy. Rehabilitation is the way to regain mobility and restore your independence. Having the right therapist makes all the difference in your recovery. Follow your therapist’s instructions and your recovery will be a success.